Made It Through Mum: How can parents make the most of the child's formative years? How can parents make the most of the child's formative years? How can we as parents guide our children to become the kind of individuals we can all be proud of? 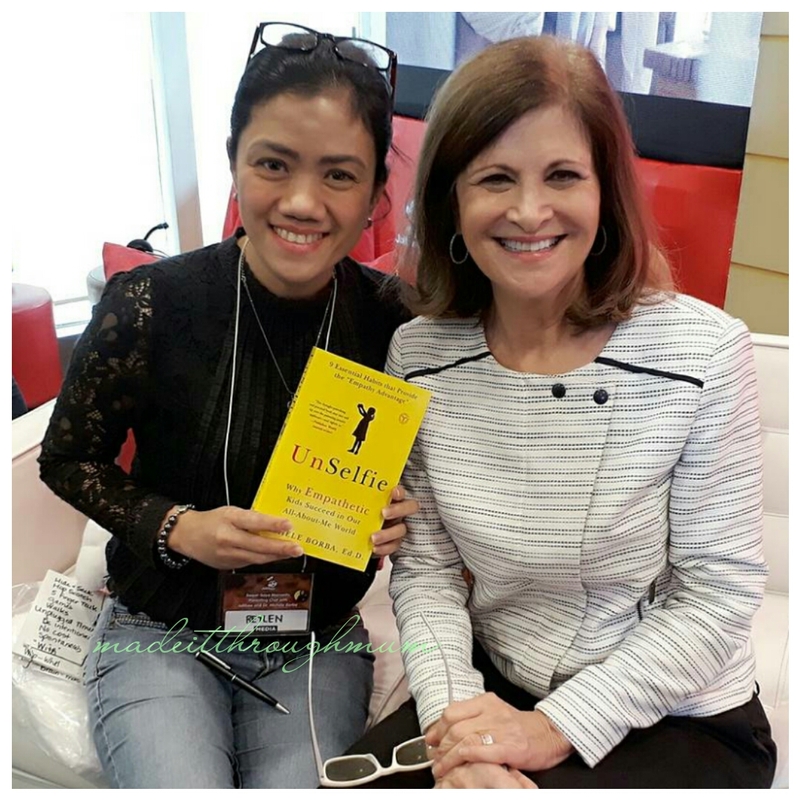 Last December 1, I was one of the fortunate few who were invited by Jollibee to attend a parenting talk with the world-renowned parenting and character formation expert with over 22 books on the field, Dr. Michele Borba. 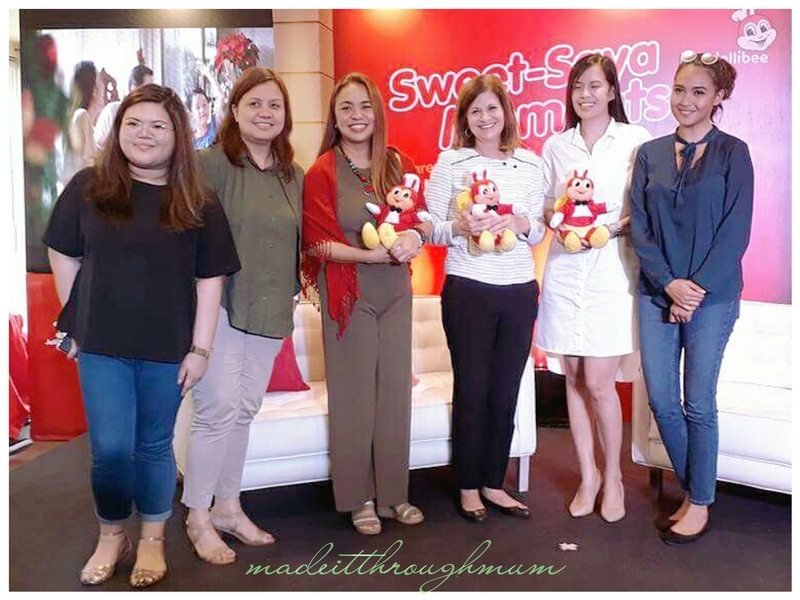 During the #SweetSayaMoments parenting chat with other speakers I was able to note some essential takeaways that I'll be sharing with you. Jollibee Philippines Managing Director for the Flagship Category, Ms. Cathleen Capati said that Parent-child bonding is pivotal in building character during formative years. 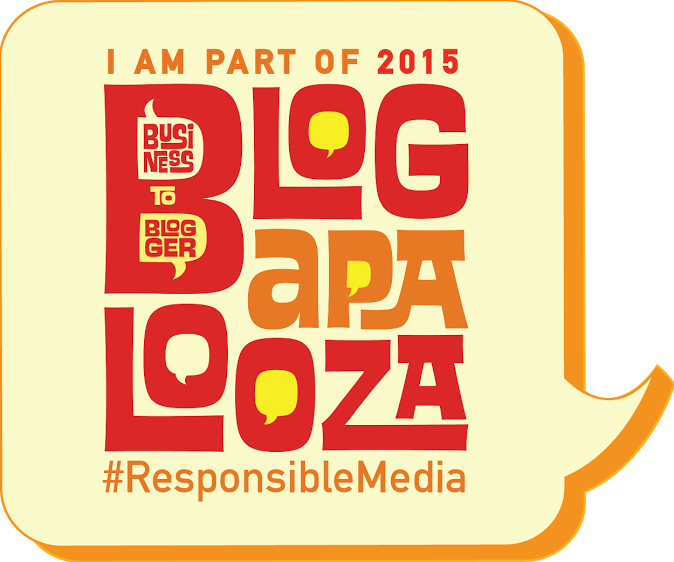 "It can be very challenging to raise kids in this day and age. But if there's anything that Filipino parents should not forget, it's the lasting importance of actually spending time with their children to teach them the values that we hold dear to our hearts, such as compassion, generosity, confidence and love for the family. I got teary-eyed with the latest Jolly Spaghetti ad. The ad showed how a childhood can be nurtured through simple yet impactful quality time with the family not only with the parents but with the siblings too. And children who are exposed to and are given love, care, happiness, affection, respect and generosity tend to naturally grow up paying these blessings forward as well. 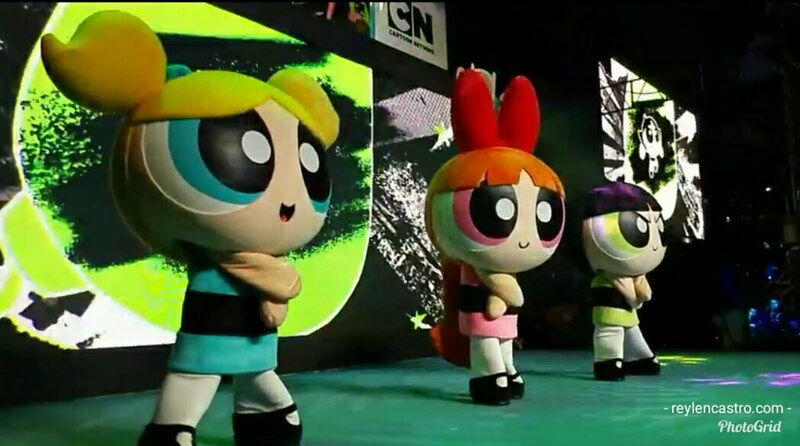 It is an eye-opener for numerous people because it states very clearly that 1-7 years old is character building. 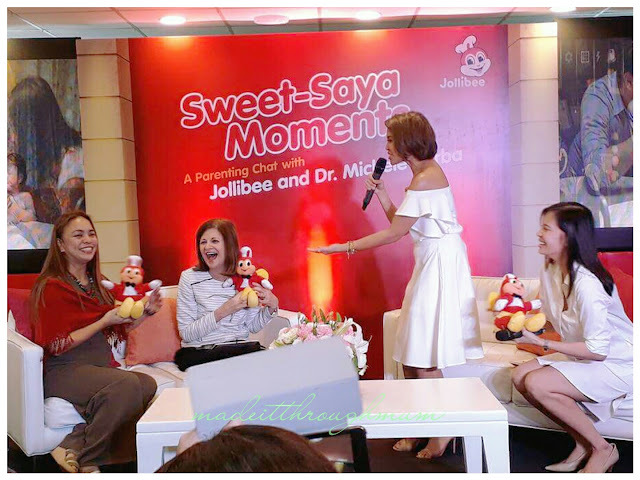 And for most parents we don't even realize that is a critical time because we all think "bata pa yan, hindi pa nila naiintindihan,hindi pa sila nakaka relate" but it is a critical moment wherein they're building the character that they are going to have when they are all grown-ups. ✔ be present for your child. Go back to basics. Spend quality time. 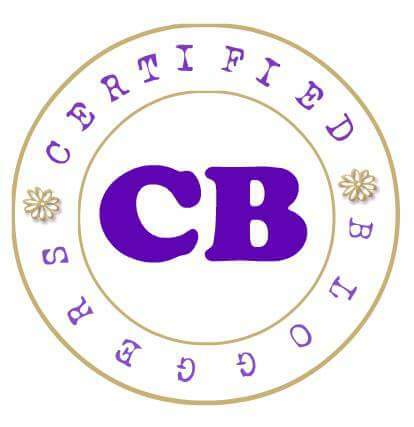 Be a role model of good behavior for your children . ✔ Social, emotional, physical well-being - take those moments in time because we don't have a chance to rewind and do it all over again. She also answered one of the questions on how to be able to still instill positive traits in some kids even during tough times like throwing a tantrum, acting up in public, " We have to know when it's not about us. Ignore negative behavior and a lot of afgirmation for positive behavior. Because sometimes it's just getting our attention" Ignore. Be consistent. Dr. Michelle Borba has gained renown and popularity among parents all over the world for her practical, research- based advice for strengtening character, fostering compassion and developing emotional intelligence in children of all ages. 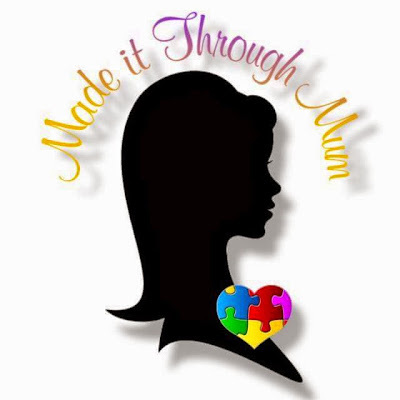 Her aim is to help strengthen children's character and resilience, build strong families, create compassionate and just school cultures, and reduce peer cruelty based on her experience working with over 1 Million parents and educators worldwide. One of her key teachings is to "develop a close, mutually respectful relationship " with children, which should be established during these formative years. The first seven years of a child's life is crucial to developing his or her character and values, which is why parents should continuously nurture them during those years for them to grow up into well-rounded adults. "Studies find that kids are most influenced by those persons toward whom they feel the strongest attachment and deepest respect, " Dr. Borba said. Children more likely to copy these individual's moral beliefs... just make sure the relationship is mutually respectful: you treat your child with love and respect, and he treats you the same way in return. " ✔ Do just take a quiet little reflection moment without your kids watching and check in how often you are all plugged in. How often are your children viewing a TV, using an iPad, watching flicks and texting? Did you know that the longer your child looks down, were discovered, the lower your child's emotional literacy score go? ✔ Be the parent and start to say NO. If your kids try to resist (yes - that's their role : to resist) but you as parents suppose to say no. Figure out when you want your "UNPLUGGED TIMES" to be. The #1 best time that everybody should have their gadgets down is during family meals. So parents, I know you are guilty too (coz I am- sometimes) , put your gadgets down and enjoy your kids because there's no rewind button on parenting! NO. GADGETS.DURING. FAMILY.MEALS. That's the key in your lifetime rituals, your tuning in to one another, and creating your memories. There's no greater parenting tool kit than be able to look at your child's eyes and figure out how they are doing and that is what you mean as relaxed little rituals that are fun and they create a long- term connection memory. ✔ Sit down and look at your own child and fast-forward him and ask your self what are the values you want to see in your child? Whatever the values is that you can think about and say that's what matters most. All of your parenting will align with it. You'll be able to find dozens of simple, no-cost ways to live within. ✔ It's all about each other and how you are treating each other. Stop thinking about "me". And start thinking about "We". "GOOD PARENTING is about how to help out children live their lives to the best of their abilities -- and that in itself is an immensely powerful role," Dr. Borba concluded. 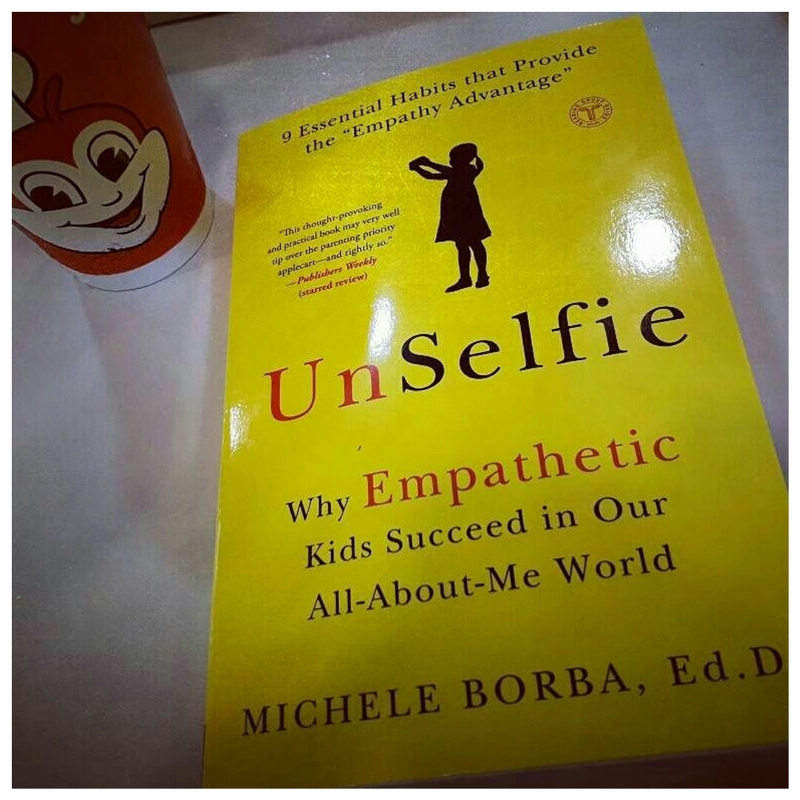 Btw, I think each household should get a copy of Dr. Borba's book entitled "UnSELFIE" - why emphatic kids succeed in our all-about-me world. Big help for us parents. So what are you waiting for? 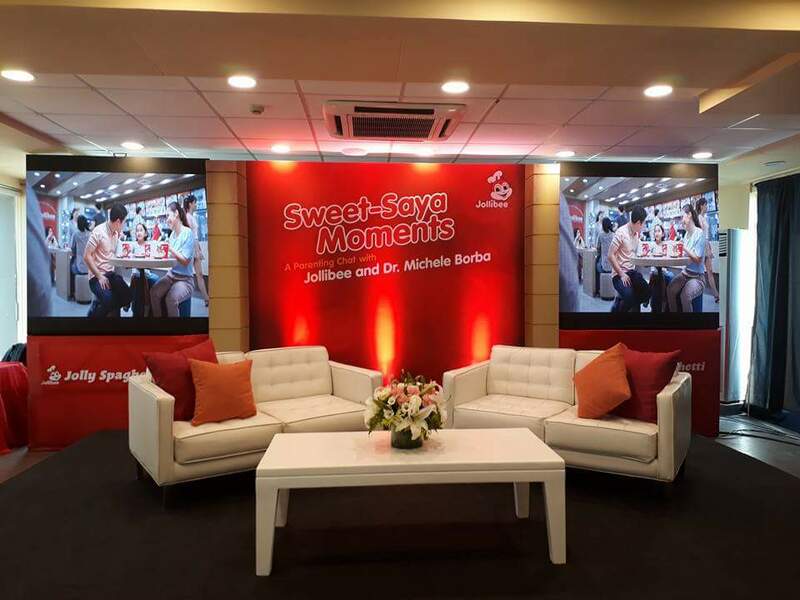 Head over to the nearest Jollibee branch today and treasure those simple moments with family over Jolly Spaghetti, ang‘Sweet Saya na Di Malilimutan’. Available for dine-in, take-out, delivery and drive-thru transactions, Jolly Spaghetti is priced at P50.00*. 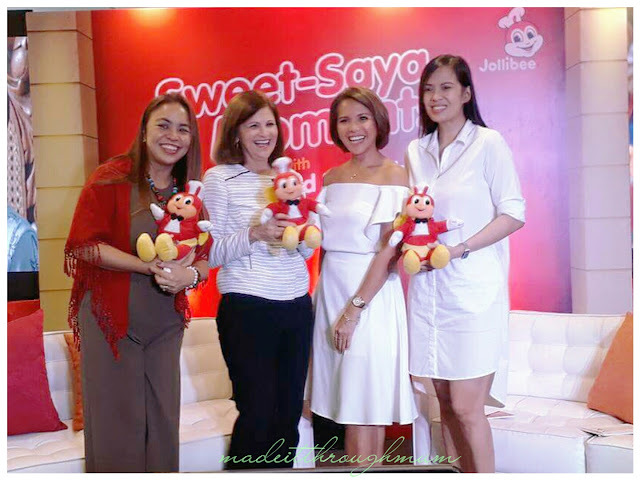 Thank you Jollibee for always being at the forefront of character building and instilling great Filipino values.